The Poker Run | stories and etc. We called to put our names down for poker at the casino. It’s one of those things we do whenever my friend is in town now. I don’t play a lot of poker anymore but I still enjoy playing house games or at the casino. 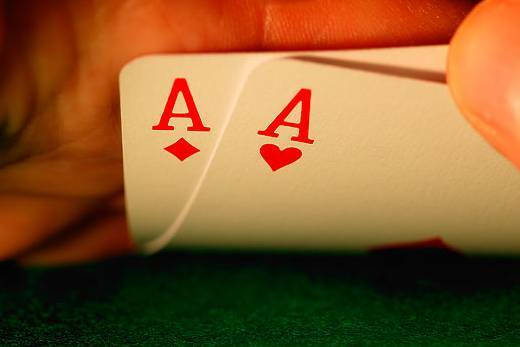 I usually play no limit hold em house games ($5-$10 buy ins) and $4/$8 at the casino. I tend to play a better tournament game so while I play cash games, over the long-term I think I am about even at best. We used to play at the River Rock but since they have more or less dropped the $4/$8 game, we usually head to Edgewater to play. Even though it takes us about 40 mins to get ourselves together and head down we usually still have to wait for a spot. This was the case again that night. I get really bored waiting around even with a smart phone and a friend. I was half falling asleep by the time we were both called up (after 11pm). It had been awhile since I had been at the tables and I didn’t feel awake enough to be sharp. The first hour was a bit of a slog. The hands I picked up weren’t hitting and the few moves I tried didn’t work out. My buy in of $140 soon dwindled to less than $50. I won a bit to gain some ground only to lose it to a few bad decisions. There were a few hands where I wasted a lot of money calling. I don’t know why I called. I was pretty sure I was beat but I couldn’t let go of my hand. All because I felt I had the best hand prior to the next cards. Good poker players know when to hold em and when to fold em. I was letting my emotions get too involved and not making good logical choices. This was a good reminder lesson for me. In life, we often know what the logical choices are but we can be swayed by our emotions. Easy decisions become tough ones because of emotions. While we shouldn’t discount emotions, it’s important to keep ourselves in check so we can weigh the logical and emotional consequences of our actions. Some say life is like poker. You play the cards you’re dealt, whether they be good or bad. With the information you have, you attempt to make the best decision you can by taking calculated risks. Sometimes it works out. And sometimes, even when the odds are in your favour, it simply doesn’t work out. Such is life.